A rock slide on Interstate 70 in Glenwood Canyon near Grizzly Creek has closed the highway in both directions indefinitely. Interstate 70 in Glenwood Canyon was closed in both directions Tuesday morning following a rockslide just west of Grizzly Creek. The Colorado Department of Transportation and Colorado State Patrol expect the interstate to be closed through the canyon for most of Tuesday and possibly longer. 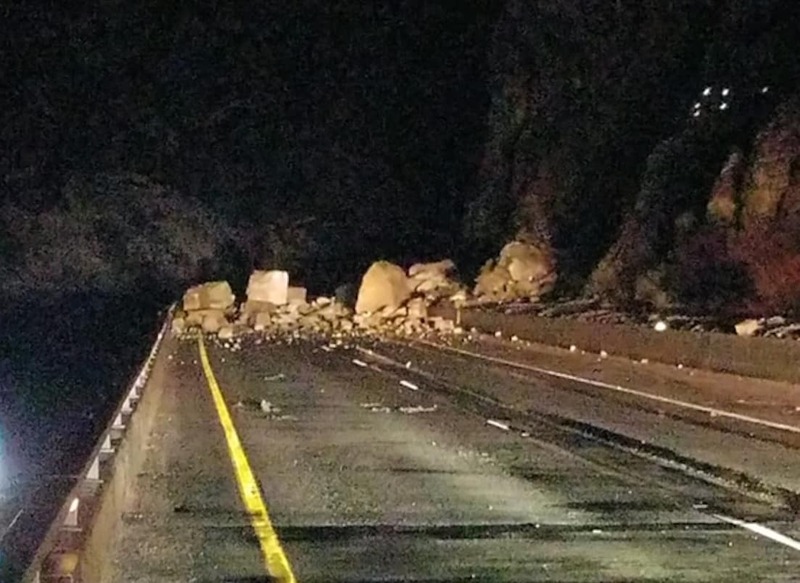 CDOT reported the rockslide on Twitter about 1 a.m., adding in a 6 a.m. news release that there is no timeframe on when the road will be reopened. CDOT spokeswoman Tracy Trulove said no vehicles were involved, and there were no injuries. I-70 is closed at the main Glenwood Springs Exit 116 on the west side of the canyon, and at Dotsero (mile marker 133) on the east. Residents of No Name are being allowed in and out from the Glenwood side if they can show proof of address. State Patrol advised Front Range motorists heading west to take U.S. Highway 40 north to Steamboat Springs, then west Craig, then take Colo. Highway 13 south to Rifle. The north alternate route for westbound motorists is north on Colo. Highway 131 at Wolcott to Steamboat, west on U.S. 40 to Craig, then south on Colo. 13 to Rifle and back to I-70. With snow in the Glenwood Springs-area forecast through Wednesday, travel advisories are out for other western Colorado highways, as well. The stretch of I-70 through Glenwood Canyon is prone to rockslides, in particular, the section west of the Hanging Lake Tunnel. A major rockslide on Feb. 15, 2016, resulted in a near week-long closure in both directions and lengthy detours north via U.S. 40 and south along U.S. Highway 50. The canyon was open to one lane only in both directions after six days, but a pilot car was used to guide traffic in alternating fashion for several weeks. I-70 through the canyon was not fully reopened until the middle of April that year after some $5 million in emergency repairs.